Sweet corn is a classic carp bait that catches carp all over the world. The best way to use sweet corn is to chum your spot with some sweet corn and then place one or two kernels on a single hook and fish it on the bottom. You can put the corn directly on the hook point or on a hair rig. I like to you an inline lead system when fishing with sweet corn. 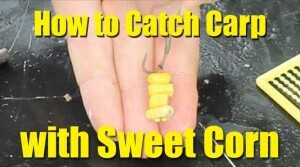 Check out this YouTube video on using sweet corn to catch carp. You can also use sweet corn as an ingredient in various particle baits or pack baits. Chumming the water with freebie corn attracts carp from farther away and gets them feeding aggressively. It also helps bring in more fish so that are more likely to catch more than just one fish. Sweet corn is not too expensive, it requires no preparation and you can keep a can or two in your car or tackle bag without it going nasty and rotten. The problem is that sweet corn attracts a lot of fish, not just carp. Blue gill, turtles, perch, catfish, trout, bream and tench all love sweet corn and they can swarm your spot, steal all your bait and prevent you from catching a carp. If nuisance fish are a problem in your spot sweet corn may be a bad idea. Try using feed corn or boilies instead if nuisance fish are problem. Sweet corn kernels on the left and boilied feed corn on the right. 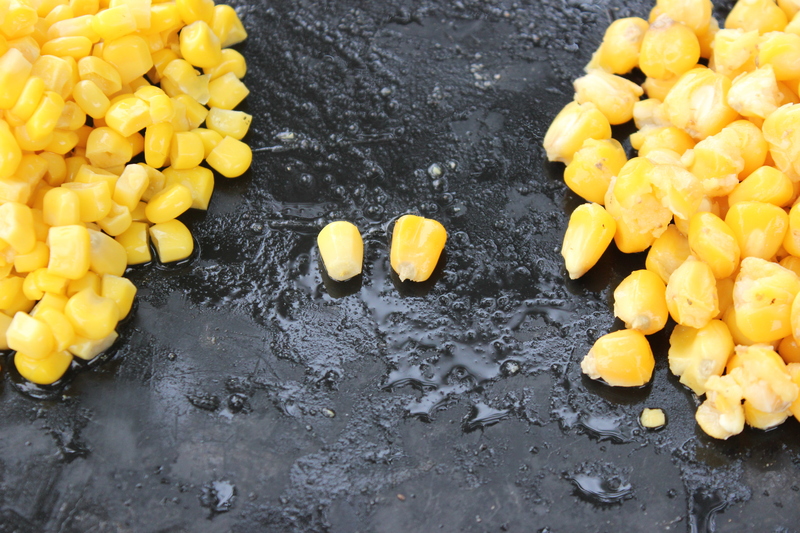 Another problem with corn is that sweet corn contains a lot of water so PVA bags don’t work with normal sweet corn. You can overcome this problem by soaking your sweet corn in salt water or covering them in a PVA friendly liquid like Dynamite Baits Liquid Attractants. Empty out the corn, let it dry until it is no longer wet to the touch and then put it in a ziplock bag and add your favorite PVA friendly attractant and shake it about, coating all the kernels in scent. Now the corn can be added to PVA.